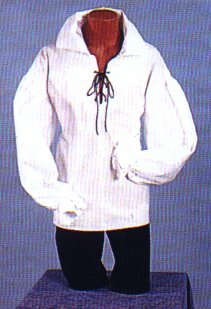 Full sleeves with gathered cuffs, stiffened collar with lace front closure. Size medium, large, or extra large. Available in white only.